Cheap weed seeds for sale. Buy excellent quality marijuana genetics, straight from the best cannabis breeders of Amsterdam. The marijuana capitol of the world is home to your online seed bank Amsterdam Marijuana Seeds. Order cheap marijuana seeds now online and discover how good our cheap marijuana seeds actually are. We have selected the very best seeds for an affordable price. All our seeds are developed by experienced growers from Amsterdam, even our cheap seeds. 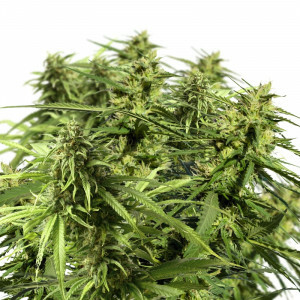 The Amsterdam Marijuana Seeds will give you a bright smile. So order now, we deliver cheap feminized cannabis seeds all over the world. AMS offers cheap seeds, but we are not claiming to be the cheapest marijuana seed bank. And we do not want to be the cheapest if that would mean our quality standard should be lowered. Products of excellent quality and the best customer service you wish for, are our highest priorities. 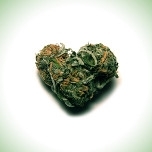 So, we do claim that we can make you a happy and satisfied customer with our cheap marijuana seeds. In Amsterdam we are selecting, developing and selling cheap weed seeds for more than 15 years. Amsterdam Marijuana Seeds is a known seed bank that delivers good quality and as well cheap cannabis seeds. Smoking good weed is nice, but the feeling of breeding and eventually smoking your own perfect marijuana strain is even more awesome. We’re always willing to help you and give you advice about our cheap marijuana seeds. It doesn’t matter if you’re an experienced grower who is looking to get the details right or if you’re just exploring the possibilities of growing cannabis, like Columbus discovered America. AMS is very enthusiast to share knowledge, good ideas and advice about our cheap cannabis seeds. Even if you buy our cheap weed seeds, excellent quality is our standard, always. Can you imagine AMS offers over 120 different marijuana seeds? Within our wide range we have a lot of strains to grow. Besides cheap seeds we have more common seeds, like Afghan, Big Bud or Master Kush. You’re also at the right place if you are looking for special weed seeds to grow, like our famous White Widow XTRM, AK47 XTRM, Borderliner XTRM and much more. Within our wide range you find Indica, Sativa and hybrid seeds; feminized, regular and auto-flowering seeds and marijuana seeds to grow indoors and outdoors. In the category cheap weed seeds we placed our most affordable marijuana seeds. Amsterdam Marijuana Seeds has always some of the finest cheap seeds for sale. Grow strains from AMS and you'll have cheap weed seeds that never sacrifice quality for cost. Test your growing skills and see if you can receive optimal yields from the best cheap feminized cannabis seeds in the world. Depending on which strain you grow and if you do it Indoor or outdoor, you will harvest a great crop. For more details of the cheap seeds, check out our Marijuana Seeds Table. This table shows you all the marijuana strains and specifications. It can be useful to choose some new cheap seeds that could fit your desires. It also shows the growing difficulty, flowering time, THC level or yield of the strain you pick. Is it safe to buy cheap feminized cannabis seeds online? Yes, it is. We use a stealth way of shipping and payment is anonymous, so no worries there. We even guarantee delivery of your order, to make sure your order will make it to your doorstep within 9 till 14 office days. 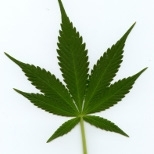 We offer to pay your cheap cannabis seeds by bitcoin, also check out our other payment methods. As you could read above, we do not state any marijuana-related content on our packaging. Please do the same on your cash and bank payments. That way it stays a secret what you ordered at Amsterdam Marijuana Seeds. Our cheap marijuana seeds are in big demand. Do you have any questions about our cheap feminized cannabis seeds or our other cheap weed seeds? Please contact our customer support team. They are happy to give you expert advice. Send your questions and suggestions to info@amsconnected.com or fill out our contact form. You’ll always receive an answer from Amsterdam Marijuana Seeds. Amsterdam Marijuana Seeds is supplier of the best products in cannabis and of excellent cheap weed seeds. As said earlier, we want you to experience our warmth, expertise and enthusiasm for our cheap cannabis seeds. We want you to be happy and satisfied. Read about the experiences of other AMS customers on the independent review website Kiyoh. Try our service and order your cheap seeds straight from Amsterdam. It’s important to choose an excellent seed bank like AMS. Good growing conditions are important, but the quality of the cheap marijuana seeds is most crucial. Otherwise, a plant will not reach it’s full potential. AMS aims to be the best marijuana seed bank by offering cheap seeds and the best quality, service and expertise. Want to stay up to date about Amsterdam Marijuana Seeds? Sign up for our newsletter and follow us on Facebook and instagram.